I spied a fun April Fool's Day place setting in Phyllis Hoffman's Easter Issue of Celebrate magazine, where the classic plastic disguise glasses(big nose attached to black glasses) were used as the napkin rings( in photos above and below). Isn't that a cute idea? I immediately thought of making them into a cookie version, and went to work right away on fashioning a template. They didn't turn out quite the way I envisioned(they need more nose detail to start with), but they are still a fun, tasty cookie. 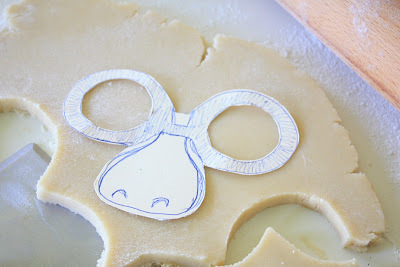 I used a small biscuit cutter to trace the opening for the glasses on the template and then punch out the center of the dough. The hole seemed to bake inward in the oven though. I used these recipes for the cookies and royal icing. To ice the black frames, I first traced around the opening with the biscuit cutter and a black edible ink marker. It helped tremendously in keeping them more symmetrically round (Thanks for the great idea Callye!). I added a lollipop stick in case someone wants to disguise themselves, but it would be just as cute as a regular cookie at a place setting, especially with the plastic version nearby. Have a fun April Fool's Day! Sue, these are phenomenal!! I love them so much. saw you on Craft Gossip and had to come say how cute these are!!! Great idea! So smart! What a great idea. I'd mess it up but I love seeing how perfectly you did it. What a joy. Throw some share buttons on your blog so it's easier to help spread the word. These are just hilariously cute. Oh my gosh! These are perfect! Those are just adorable. I love them! Love these soooo cute!!! It's what April Fools is all about! :) Awesome! I think they are fabulous, fun and silly. Perfect for April fools day. I really think Donnie Clapp would like them. They remind me of his love of groucho marx. These are so cute Sue!! My kids would love them!!! Oh my goodness Sue! These are the cutest thing ever! Your munchkins must think you are just the coolest! Thanks for sharing them at Inspiration Friday At The Picket Fence. We always love the creative things you link up! Haha Sue I love them! :D Happy April Fools Day! 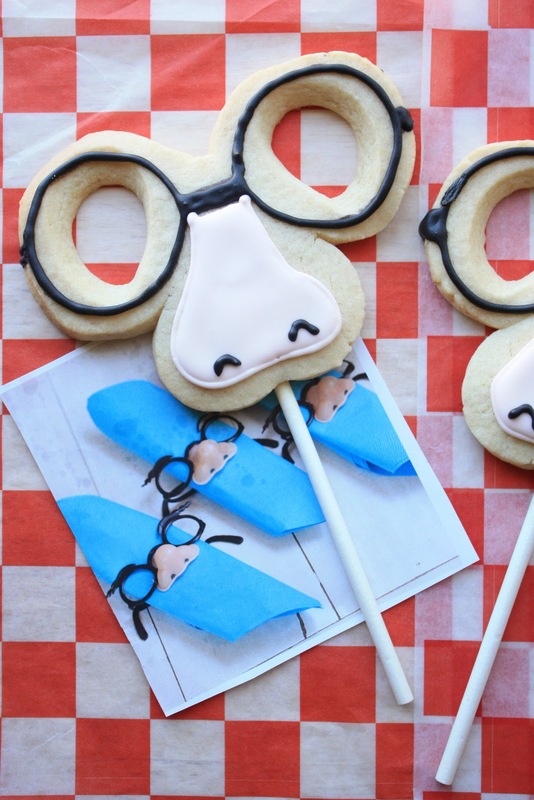 Awwww these are the cutest April fools cookies ... I'm sure the kids would have had a great time !! OMGosh, those are toooo cute ! Shut up! Those are awesome!! LOVE!! Your blog always makes me smile! Thanks. What a wonderful idea! Those are awesome! Cutest cookie idea I've seen in ages!!! You knocked it out out of the park with this one!!! I love the stick. What a great idea and they would be perfect for a Grandpa's birthday or any "older" birthday party for a guy. Another fabulous one. Sue, you are one clever woman! 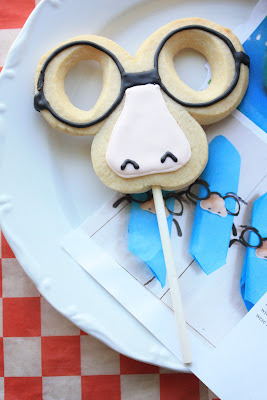 I love these, how cute and creative. I am glad that you love the shoes and thanks so much again! ^^ This is awesome, Sue! Oh so funny! The munchkins must have had a lot of fun playing with these cookies before they ate them. Great job! How do you come up with amazing idea after amazing idea? I love april fools, too. Played a fantastic joke on the bf by hiding his real desktop and replacing with a screenshot background of it mwahaha. haha. these are so cool! What darling cookies. Better in a cookie than a napkin holder I always say.